Hors d'oeuvres recipes are what the French housewife will make to start their meals. Just that 'little something' to whet the appetite. These Hors d'oeuvres or appetisers, will to do just that – encourage the gastric juices to flow before getting into the main course. 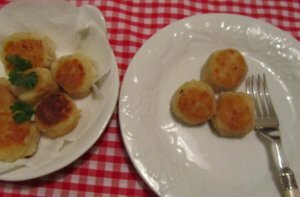 Hors d'oeuvres recipes in the French home it is usually something simple such as ham or garlic sausage, tunny fish, smoked fish, sardines, olives, salads or fresh raw vegetables beautifully prepared in a light herb vinaigrette. The most important thing about the hors d'oeuvres is that the food is of excellent quality and fresh. The French housewife chooses her produce carefully using her eyes and her sense of smell. She will only buy what is fresh. The quality is always good and she never throws anything away, nothing is ever wasted in her kitchen. For a formal meal the hors d'oeuvres are usually arranged in individual dishes but for a family meal they can be arranged attractively on individual plates. White dishes are best as they present the wonderful colors of the meat and vegetables whereas a patterned dish is likely to be confusing. They are arranged attractively but simply – French food is never over garnished. 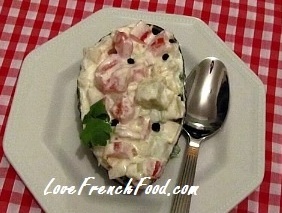 A traditional salad from Lyons in France which is very easy to make and a amazingly tasty starter or light meal. 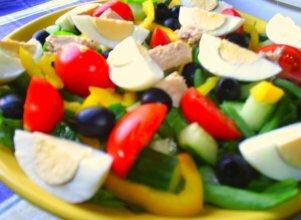 Salade Niçoise, or Salad Nice, is the classic salad of the south of France. A variety of Mediterranean vegetables, crispy lettuce and fish make this a tasty and refreshing salad for hors d'oeuvres or light summer lunches. 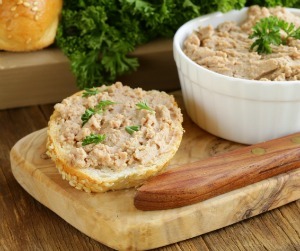 An easy Tapenade recipe which will give you another tasty dip to add to your table. 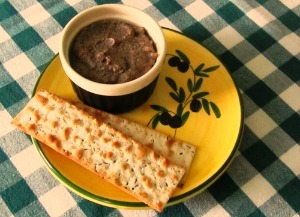 It is a Provencal dish made with black olives and is great for spreading on toast or French bread – for anytime of day! Avocado shells are such a simple and easy dish to make yet they look and taste amazing. You will have these ready in no time at all and you can keep them in your refrigerator until you are ready to serve. For a quick and easy appetiser or hors d'oeuvre this is a great little recipe. 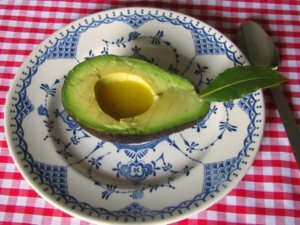 Avocados are supreme and you will have this little gem on your table in extra no time! Delicious. These egg stuffed tomatoes are to be found in charcuteries throughout France and they make such a quick and tasty hors d'oeuvres or light lunch. Great to make at home and sure to please everyone. Miniature fish balls which are so easy to make yet are amazingly delicious and sure to please everyone. Can be made with any cooked fish but especially delicious made with smoked haddock. 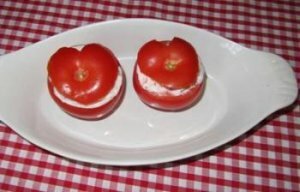 These delicious stuffed tomatoes are made in the Parisienne style. So easy and quick to make yet are amazingly spectacular on your table. You will have such a colourful display and they are a sure winner every time. 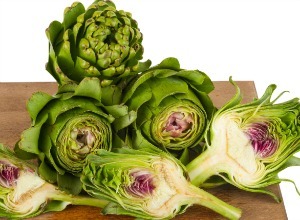 Artichoke salad is another very simple Hors d oeuvres and will be sure to impress your family and friends. An easy and quick recipe to give you sensational results. 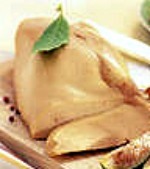 For those very special occasions or celebrations you may want to include something traditional such as a foie gras dish. This is a very simple dish with a big impact. 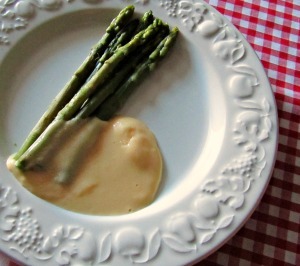 A great combination of a creamy hollandaise sauce with the delicacy of fresh succulent asparagus. Hors d'oeuvres recipes don't get any easier than these - a colourful display of healthy vegetable crudites will enhance your hors d'oeuvres table. 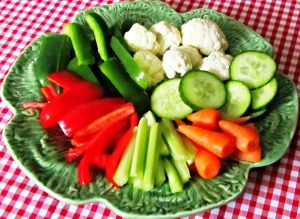 They are so easy and simple to make using vegetables either raw or lightly cooked. 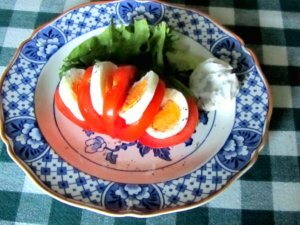 For more ideas on starters and hors d'oeuvres recipes you will find recipes for salads on my French Salads page, which will give you lots of ideas and most are easy and very economical to make. Making your own dressings is not only easy but is economical and so much better for you. Here are some you will love! 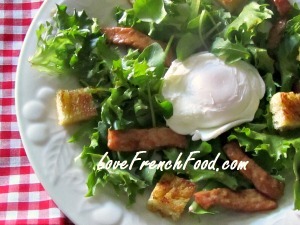 This French dressing recipe or vinaigrette is so easy to make at home and will enhance all your hors d oeuvres, salads and crudités. It is far superior to any you buy at the supermarket and costs very little to make. This mayonnaise recipe will give you a far more superior mayonnaise to accompany your hors d'oeuvres recipes, salads and crudités. You will find it an easy recipe to make at home with amazing results – just wait until you hear all the compliments when you present this at your table!